This article appeared in the December, 1990 Gazette. The SOLO II was held at the General Motors plant in MidwesCity. 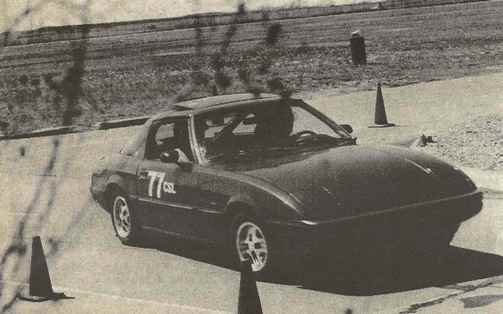 As a sidelight to the 1990 Speedy Lewis Memorial Rally, a “Team Challenge” event was held combining the rally on Saturday and the Solo II on Sunday. 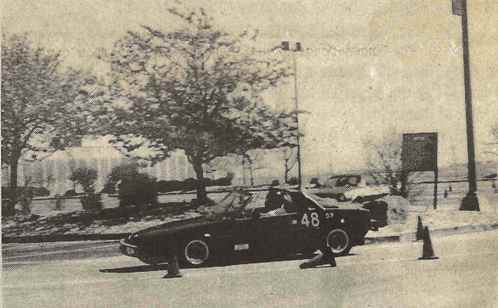 The intent was to encourage cross-over participation and show that fun can be found in each venue of the SCCA scene.Winning by a margin of 67 to 62 points was the “Fearsome Foursome” of Ron Poloski, Mike Woodruff, Bill Trimble and Jim Long. 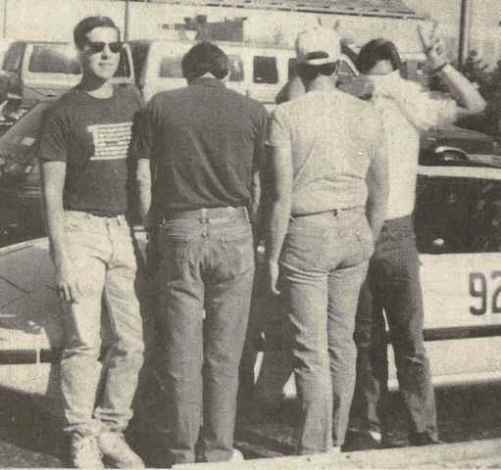 The losers were the “Banzzai” group of Wendell Karr-Ake, Jim Duea, David Bower and Jim Bower. Banzzai led after the rally with a first and a third. On Sunday the Corvette of the Fearsome Foursome proved too hot and that team took first and third through fifth around the cones. Ken Douglas from Enid worked hard to get a team from the ESCC, but job commitments ruled out attending the rally. 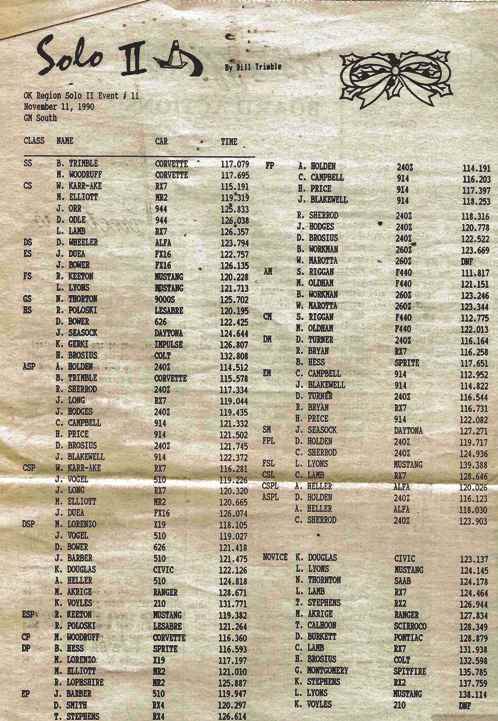 The losers were the “Banzzai” group of Wendell Karr-Ake, Jim Duea, David Bower and Jim Bower. Even though only two teams were entered, the event was called a success by the participants, and more team events will probably be seen next year. 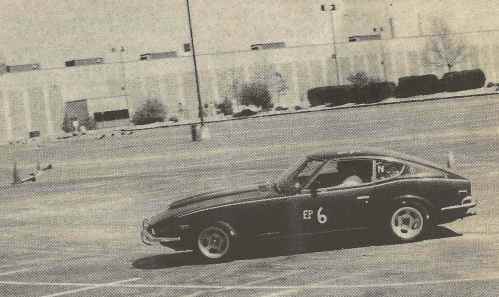 In the past the Sunray DX Sports Car Festivals featured team competition, and several teams from as far as Tulsa and Wichita would participate in rally, concours and solo competition. Watch the Gazette for details on next year’s team events.